/bɑs ˈtjɛ̃ no ˈse ʁɑ/ (hadess) | News: Videos is here! Will this version be abble to take advantage of VA-API or VDPAU? Icek: it can already use vaapi (it certainly worked in 3.8 and 3.10), as there's hard-coded support for it in clutter-gst. VDPAU support can probably make use of shim libraries to enable that, but I have no hardware to test it on. Also, are you targeting Gnome 3.12? Any chance of the app offering the option to use the light theme? I never really understood why every app in GNome is using the light theme except for Totem/Video, changing this would make things consistent and look better too IMHO. If you can, would you please let me know if i'm missing some package or doing something wrong? Antony: I don't have any NVidia cards, so somebody else will have to look into that. This is for 3.12, and wayland support is missing in clutter-gtk, so no updates on that. Unknown: No, the dark theme should be used for video and image apps. Eye Of Gnome, and GNOME Photos already use it, for the same reason Lightroom, Photoshop or Blender use dark themes. Camilo: You'll want to install appdata-tools (see the APPDATA_XML error message in that output). Did you ever thought about a setting to setup a website in the local network which is capable to be searched and display (stream) my local GNOME Videos library content? Like YouTube but local. I have never seen something like this, but it would be awesome and somewhat average user friendly because it should not need any technical knowledge. Well I know gstreamer has support for vaapi, but AFAIK old version of Totem used some sort of software color conversion element that caused high cpu usage even on PC with VAAPI support. k1au3-is-37: I don't see what this would bring. You can already enable media sharing in the "Sharing" settings panel. 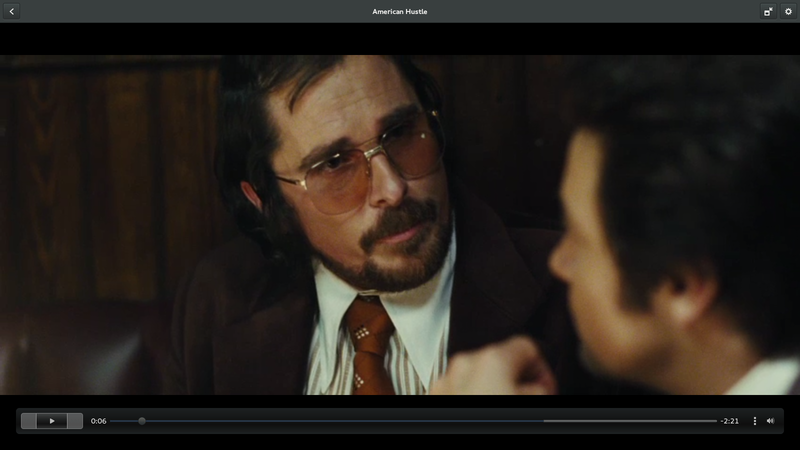 I'd expect a TV with a web browser to also have a DLNA client. Test it and report if not. 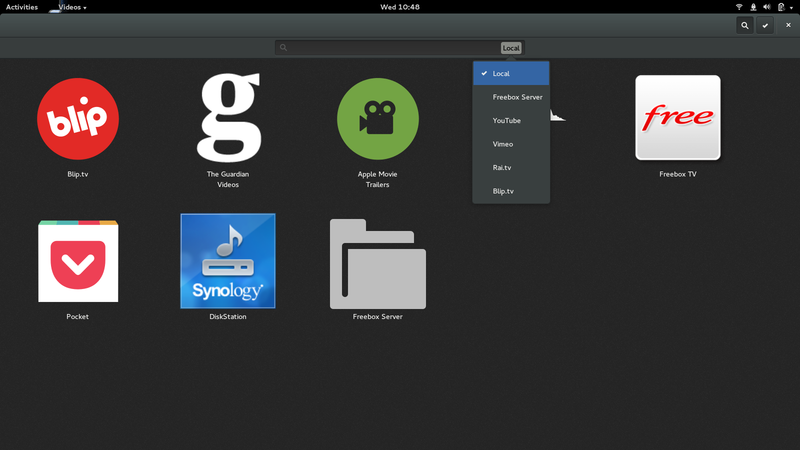 Does GNOME Videos take advantage of the new wayland subsurface support now in Mutter? Or is this something that must be supported in clutter? Nacho: clutter-gtk still doesn't work on Wayland, whether with Weston or gnome-shell. So there's no support for that. Great update! 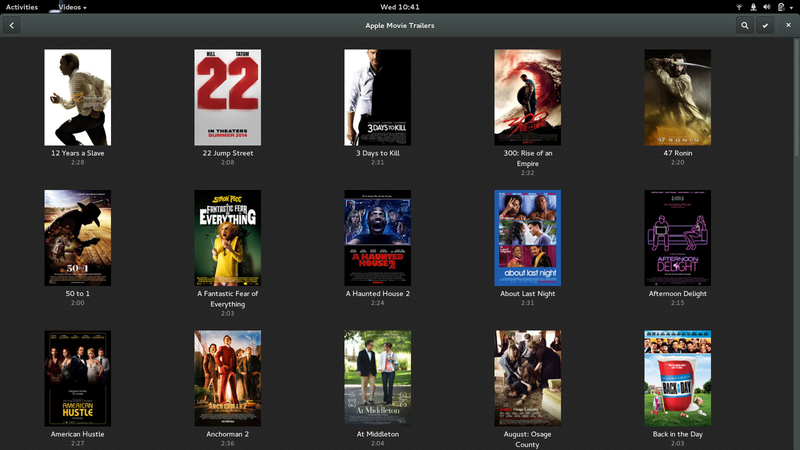 But will "Videos" be able to display folders with a folder.png or similar to display the movie posters like xbmc or just like in your Apple Movie Trailers screenshot? Would be great NOT to have that in a small database scince that way we can also use a NAS and many clients without much configuration to display the movie collection just great! How did you add YouTube as a source? It would be awesome to have YouTube back in the new Totem. kaiomatico: This should work already, as long as the thumbnails for those folders have already been generated. With Philip's thumbnailer for example. Vistaus: it's in grilo-plugins already. Get in touch with your distribution if it's not there.